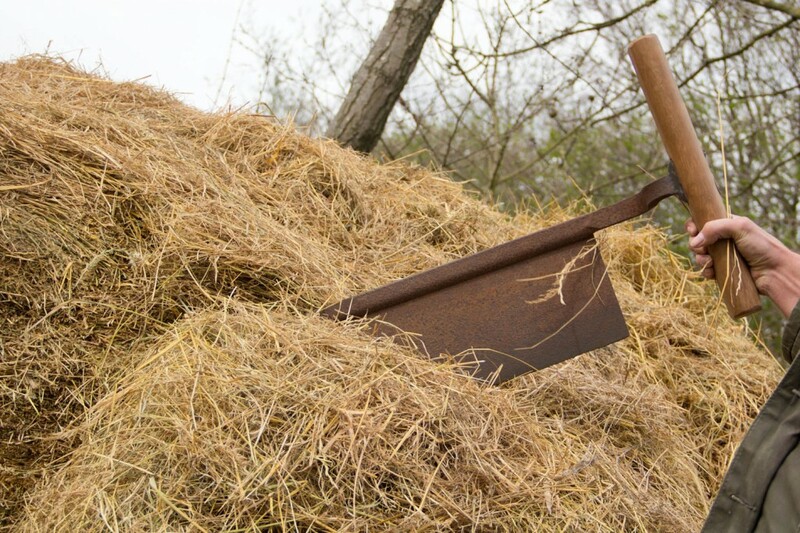 The hayknife which we use to cut the stack into neat and tidy bales. 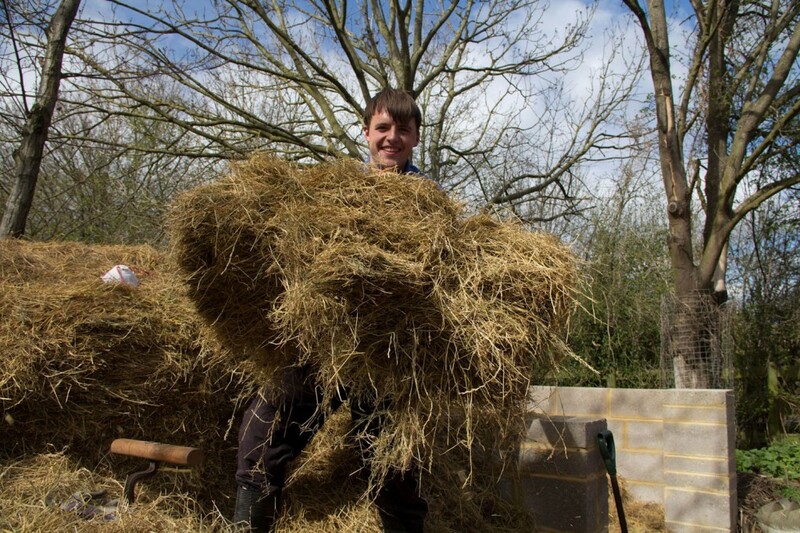 Two summers ago, our staff and volunteers cut and gathered hay from across our big field. 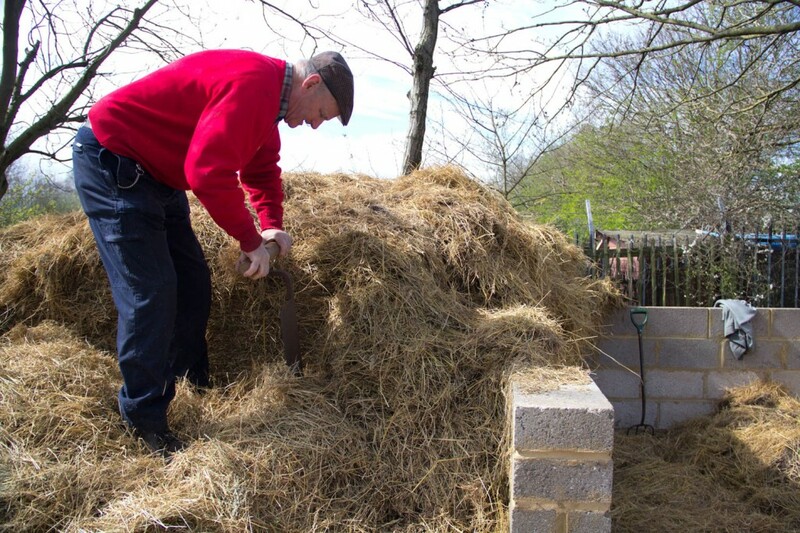 The hay has been kept dry in haystacks and one of our jobs has been cutting the stack into stackable bales, which are easy to store and transport. 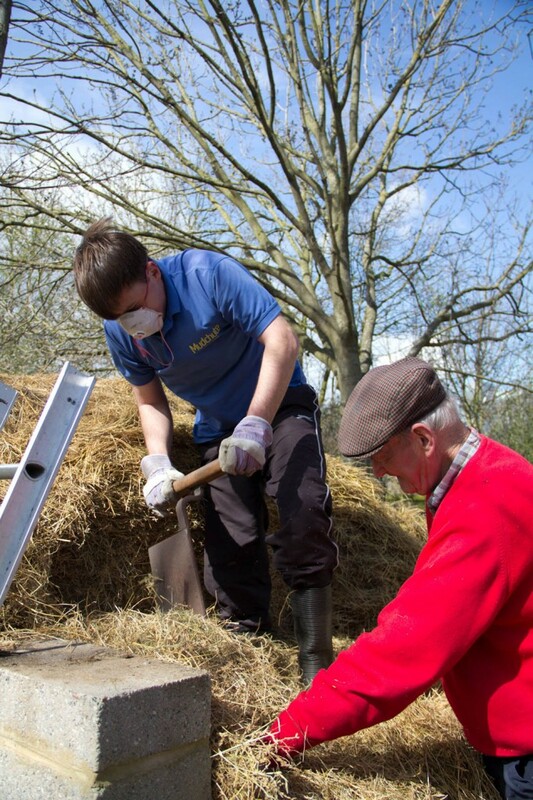 To do so, staff and volunteers have been using a hay knife to slice the stack into bales and while it is hard work, the traditional technique seems to be quite effective! 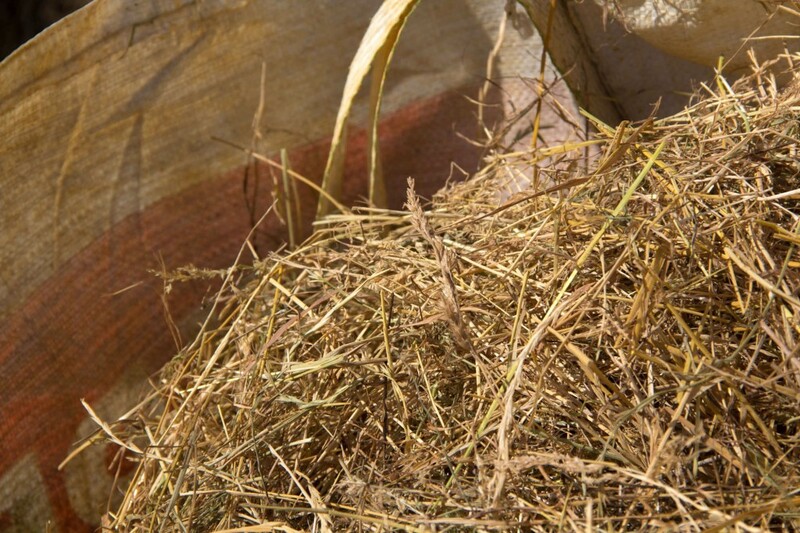 The hay will be used to feed many of our animals including sheep, cows and goats. Peter cutting through the haystack. Courtney releasing the newly cut bale. 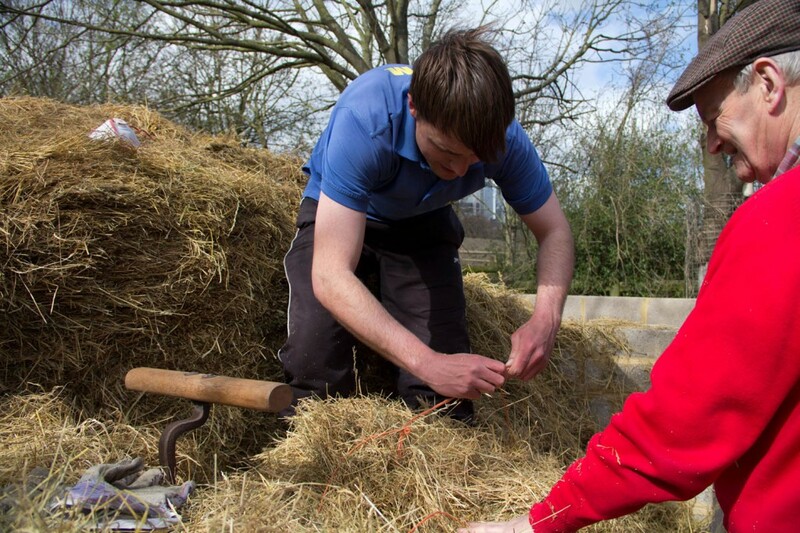 All cut, the bale is tied tightly so it will hold together.